Bermuda is one of the hottest destinations mainlanders are heading to these days. The island has always had its allure, but as the cruise lines have set special itineraries to this beautiful island more and more people are choosing it for their next vacation destination. Bermuda is 21-square miles filled with natural beauty. The island has 3 regions, Central Bermuda, and the East and West Ends. Starting with the charm of the East End and St. George’s you are transported back in time with history hitting you at every turn. 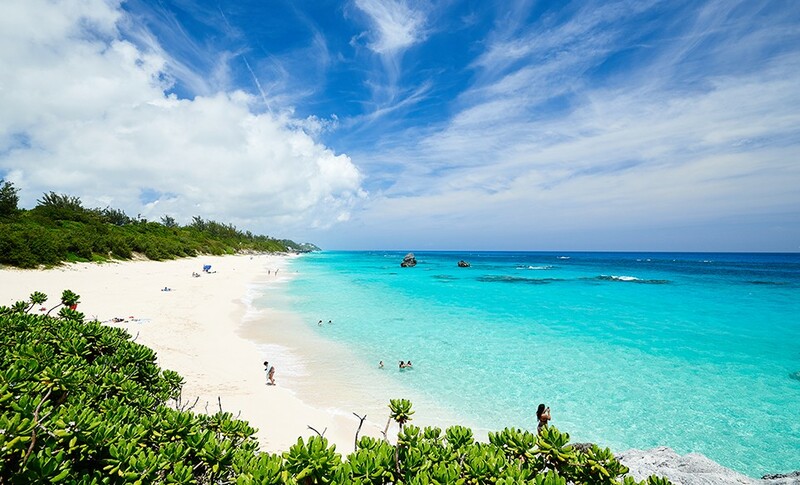 It is home to the UNESCO World Heritage site There is a lot to do here as you visit Tobacco Bay Beach, Tom Moore’s Jungle and the Crystal Caves of Bermuda. The Crystal Caves are an amazing natural wonder you will not want to miss. Mark Twain visited and wrote this in a letter. As you might imagine, Central Bermuda or Hamilton is where it is at for glamorous real estate, fantastic shoppes and nightlight. Front street is where you can sit at a local cafe and just soak it all in. For a little more of the natural beauty head to the Botanical Gardens. If you are arriving by ship, you will arrive on South Shore and near the historical Royal Naval dockyard that anchors the island. Here you will see many wonderful beaches, take a shot of climbing up the historical Gibbs HIll Lighthouse and check out the island views. There is a unique charm located on South Shore as churches are colorful and quaint sightings of a little drawbridge and local dining that is sure to please. I hope you enjoyed this little taste of Bermuda. There is much more to see and do on this little island that you may want to consider it as one of your next vacation destinations! This entry was posted in Blog, weekender and tagged bermuda, bermuda island, islands, travel to bermuda on August 18, 2018 by Rick Howard. 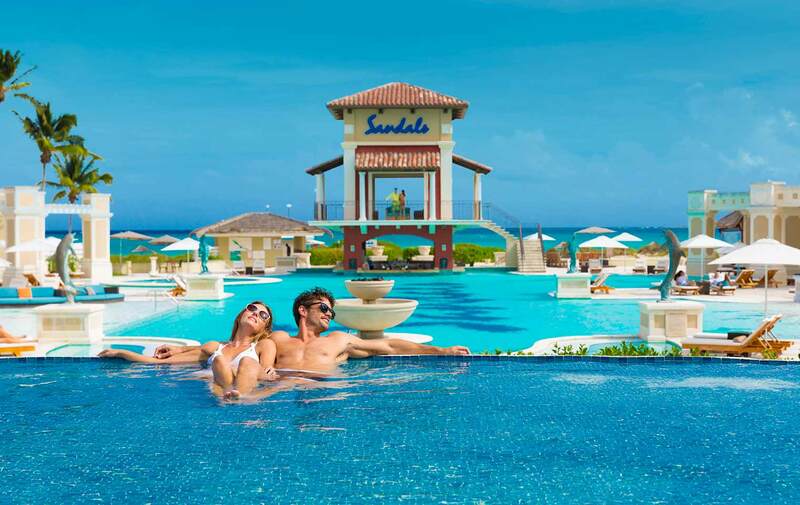 Paradise couldn’t be better–Sandals and Beaches All Inclusive Getaways! Gorgeous white sand beaches, savory dining experiences, opulent accommodations, unlimited refreshing beverages, exciting watersport and more! Sandals are adult only resorts while Beaches are for families. Sandals and Beaches is a privately owned and their resorts are hand-picked by the owner Gordan Stewart. Their own In-House design team is responsible for every aspect of the design incorporating some of the most cutting-edge design developments. They work with local experts selecting a theme for all of the Landscapes and gardens that reflect the local attributes, they have custom-designed dive boats, and some of the most extravagant and creatively designed suites in the Caribbean! Sandals and Beaches offer more quality inclusions than any other all-inclusive destination. Award-winning service, the most pristine beaches, unlimited scuba diving, quality land sports, state of the art fitness centers, unlimited golf at select locations, free weddings, more unique suites, more discovery dining, more entertainment and more island adventures. Exclusive to Beaches resorts, Sesame Street Characters, Very Important Kids Camps, X=Box and Kinect and water parks. Everyone loves unique dining experiences and Sandals and Beaches resorts have it all. Menus are well thought out including regional Italian specialties, Signature dishes, and wonderful themed buffet experiences. Premium Liquor and Fine wine are a trademark, ranging from Appleton rums at all resorts and Beringer Stone Cellars top quality pouring wines. Not to mention their authentic beer selections from around the world. Sandals and Beaches are also one of the top Destination Wedding locations in the world! Their exclusive WeddingMoon packages are– Your Wedding and Your style. Such things as special suites, romantic private dining, Red Lane Spa’s and Snap Shots photography make your wedding perfect! Your Wedding Designer will work closely with you and your travel agent to ensure you have everything you need to make this one of the most memorable days of your lives. My personal favorite is the Personal Butler Services offered with some of the top-tier categories. This is an only Sandals, Butlers trained by the guild of professional English Butlers. Your Butler wants you to expect the unexpected – prepared to be wowed with this awesome experience. Make your next vacation a Sandals or Beaches vacation! There are many destinations in the Caribbean. Rooms sell out fast so plan ahead. Call Your Must Love Travel Planner today! This entry was posted in Travel Planning, Travel Tips, weekender and tagged All inclusive caribbean, Beaches Resorts, Sandals & Beaches Resorts, Sandals Butlers, Sandals Resorts on June 23, 2018 by Rick Howard. How Can I Get the Least Expensive Airfare? That is a loaded question! Everyone thinks they have the latest tips and tricks to purchasing airfare and although there may be some trends airfare is a line item on your budget that needs a healthy amount to cover you for your vacation. As travel planners, we are familiar with the standard air prices from some of the most traveled cities and can give you a good idea of what you should budget for airfare for your next trip. There are a few tips that do help such as purchasing airfare around the 50 days prior to departure time, planning to travel the middle of the week and sometimes purchasing airfare on Tuesdays around 3 or after that may hold true to getting you a great price. Here are a few guidelines that we have found helpful when looking for airfare for our clients. Know your airlines. Which airlines depart for airports that you frequent. By watching these airlines you can follow their trends. Don’t use sites that search several airlines at a time. There are airlines that do not post their flights on these sites and therefore you may not find the best price. Watch when you compare pricing for the ancillary charges such as seat costs, and bags. You may land on an airline site, such as Spirit whose airline charge usually will produce lower rates, but then after adding ancillary charges, your price may be higher or very similar to other airlines that may be providing more, such as larger seat sizes and refreshments. Consider the flight you are taking. If it is a flight longer than a few hours, you should consider the comfort of your seat. It may be worth the extra $50.00 to have a comfortable seat. Time of departure, arrival and layovers all need to be taken in consideration. Often the early morning departures are the lower fares. That may look good on paper, but considering that you need to be at the airport 2 hours prior for domestic flights and 3 hours for international flights, these early morning departures saving money may end up exhausting you – and if you travel with children – do I need to say more? Not only are you departing and arriving early, you then face waiting around for your hotel room to open. This can be several hours and you could have slept a little longer in the morning and arrived right when the room is open! A basic budget for most domestic departures can be $250.00 – $350.00 per person. Of course, there are some less and some more, but this is a great place to start. Signing up with airline programs also allow you to watch fares. Frontier is a great one. They often send out notices of significantly discounted rates – the key is be ready to buy – they go fast! One additional item — make sure you have a place to go before you purchase air as you won’t want your hotel sold out either! These are not all tried and true but may answer some of your questions. The bottom line, traveling by air gets you to where you need to go, but needs to be considered in your vacation budget in order to plan the rest of your vacation fun! This entry was posted in Blog, Travel Planning, weekender and tagged affordable air, best price airfare, best price plane tickets, cheapest air on June 16, 2018 by Rick Howard. Gratitude is a great word! The definition is: the quality of being thankful; readiness to show appreciation for and to return kindness. It is a word that everyone should think of often, one that shares positive insights no matter whether there are difficulties, disappointments, or elation. We can have gratitude in a good day or a bad day. Must Love Travel is a company of gratitude. We are not the originators of course, we adopted this as a company value after attending a conference organized by one of the suppliers we work with, The Mark Travel Corporation. Conferences can be long, tiring and exciting, but this conference was more than that. Gratitude permeated throughout each session, each dinner, each event and left us with a strong “we can do this” attitude and one we wanted to bring to our company. We start each meeting with gratitude statements and anyone can participate along with the management team. It doesn’t have to be work related, it can be personal as well. We consider our team a family and care deeply about their lives, both at work and home. We are a team of encouragers. It is always hard to see team members go through difficult times and is much easier celebrating success, but either way we share gratitude. One of our travel planners shared this week, how a difficult client who was unkind during a rather difficult booking, lead her to gratitude. Grateful for the learning experiences she came away with, she now has a new perspective on situations that may be similar in the future. We have all encountered people like this, and in any industry that serves people you will find the majority grateful, but always have those few that bring the challenge to the table. Staying firm, steady the course, act kind and always be in gratitude helps those few situations disappear rather quickly. This isn’t really a travel article, but a personal insight into something that moves us everyday and allows us to work closely with our clients, suppliers and each other. We are truly grateful for all the people we serve while planning and booking their vacations. Being in business for over 22 years we have met many people and each one has impacted us in some way. Many have become lifelong friends. We are grateful for our supplier partners that we have the privilege to send our clients to on their vacations, weddings and other celebrations. We are grateful for our travel planners and support staff that work diligently to service their clients. The job is not an easy one and we know that they would not be here if they couldn’t say, “I Love My Job”. And we know they do. 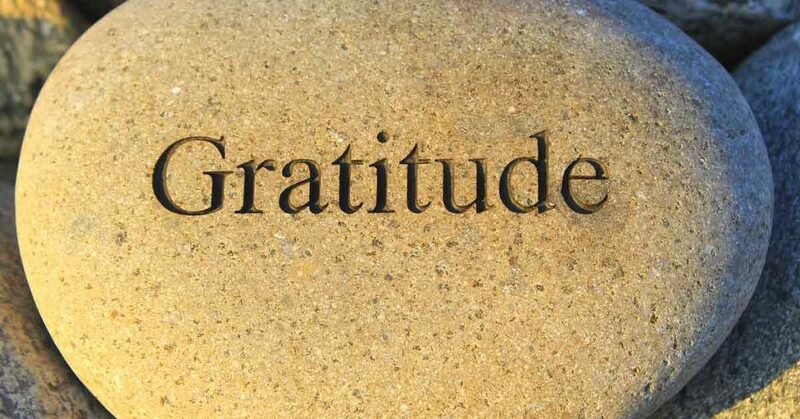 I hope you can experience gratitude everyday! This entry was posted in Blog, weekender and tagged attitude of gratitude, Gratitude, start with gratitude on April 28, 2018 by Rick Howard.